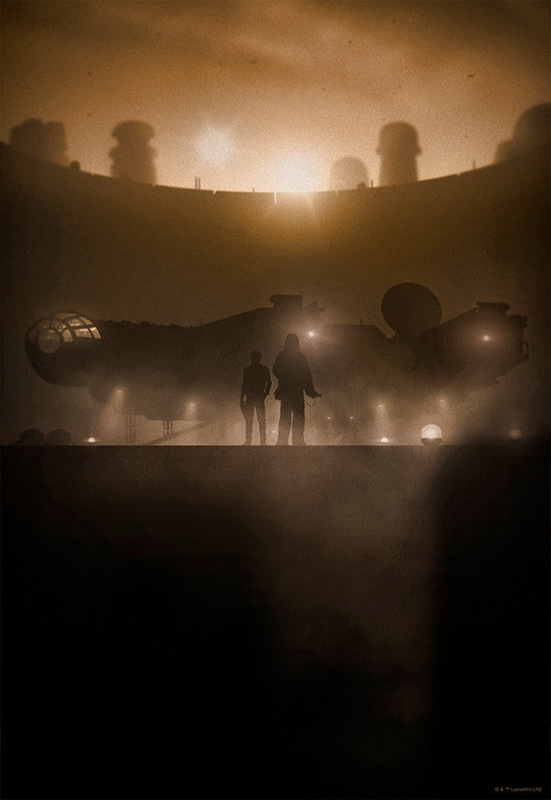 Info from Bottleneck about this series: "Today, August 14th, at 12pm eastern, Bottleneck Gallery and Acme Archives will be releasing Marko Manev's latest noir-style print series inspired by the Star Wars universe. 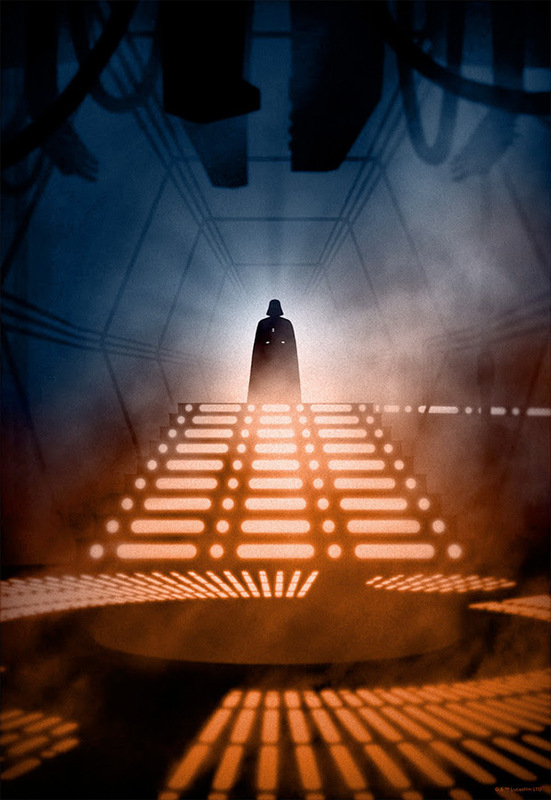 Officially licensed by Lucasfilm, the 13" x 19" giclee prints will be numbered out of an edition of 125 and cost $35 each or $125 for a matching numbered set. 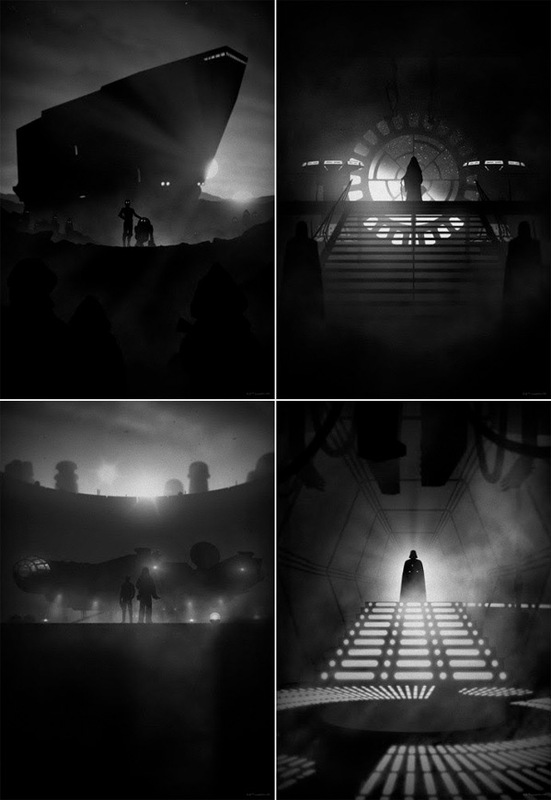 We will also have a special variant set that continues Marko's past Noir series." 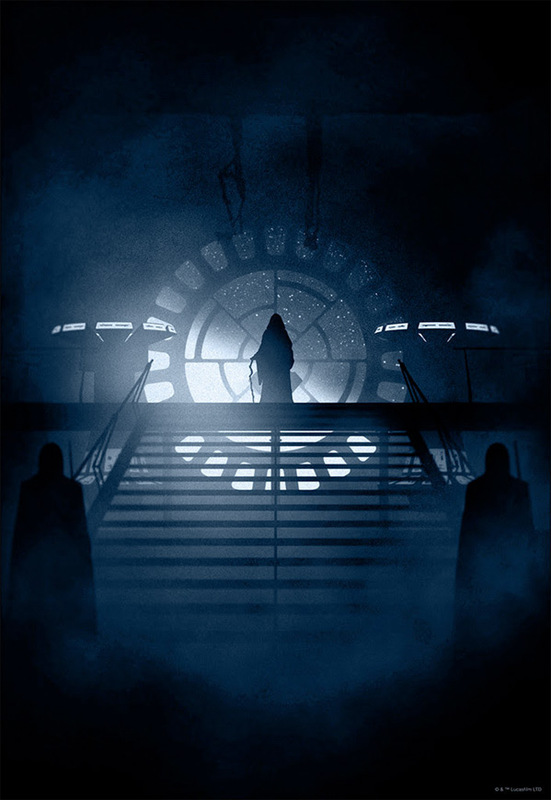 Alas, all of the prints are already sold out online, but you may be lucky to grab one if you stop by ACME's booth at the D23 exhibition this weekend. I would love to put a few of these on my wall! 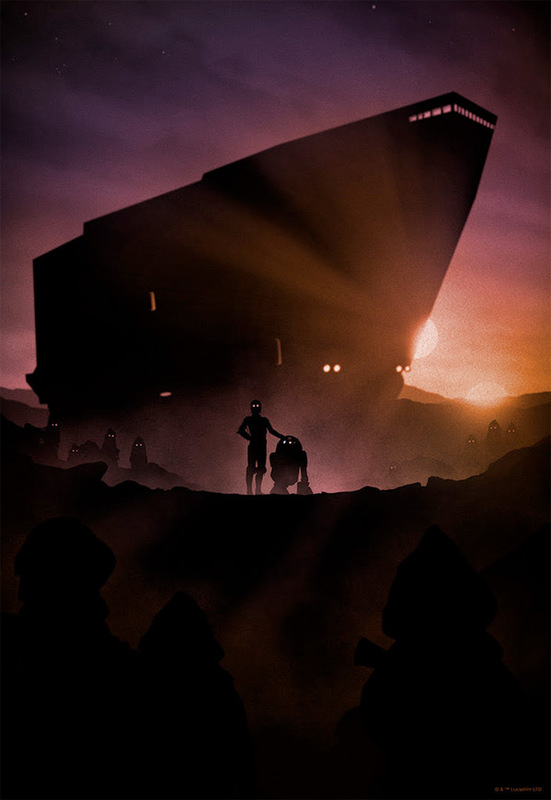 Ah yes, so much Star Wars nostalgia these days leading to The Force Awakens. Your favorites? Very nice, wonder what the medium is though?